Australians are throwing away food at a phenomenal rate – around 315 kg/per person/per year. That’s almost 1kg per person every day! These numbers are about the average households. Now imagine how much food waste happens in the restaurants! Globally, about 1/3 of the food grown to be eaten is wasted every year. Food waste represents an environmental disaster due to the unnecessary resources used to grow, transport and manufacture food that is not eaten, and due to the greenhouse gas emissions produced when food waste goes to landfill. On the other hand, there are many Australians that don’t have enough food. They are struggling on a daily basis to feed themselves, while the food is being thrown away. In other words, it is everybody’s responsibility to come up with the best possible solution to prevent the food waste. Sustainability and environmentally friendly way of conducting business doesn’t stop with proper food management. To fully have the command of your carbon footprint, you need to make sure you understand your water usage, especially for washing, and even the chemicals you use to clean your washrooms. 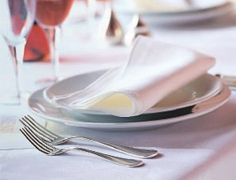 The table linen includes tablecloths, but also napkins that add class and that feel of quality. Durable and elegant aprons for every waist. Stylish and sturdy. Will survive any kitchen. Clean up your washrooms thoroughly. Green technology, no harmful chemicals used. In Australia, the amount of greenhouse gases produced from household food waste going to landfill annually is 5.25 Mt CO2-e – equivalent to the emissions produced by the steel and iron manufacturing industries. 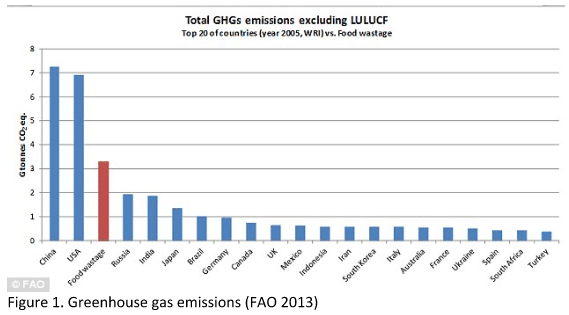 Australia is ranked 15th in the world for greenhouse gas emissions from food waste, yet is ranked 52nd in the world in population size (see figure 1). 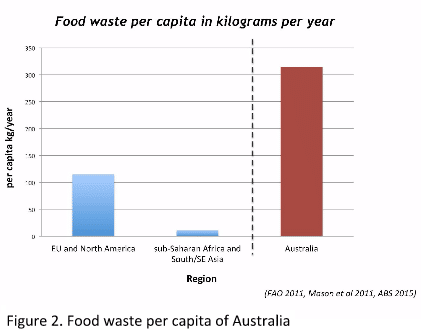 As alluded to earlier, Australia’s per capita food waste is high. Figure 2 shows a regional comparison. food and beverage service businesses. E.g. cafes, restaurants, take-away outlets, caterers, accommodation, etc. The food retail sub-sector creates between 178,000 and 427,200 tonnes of food waste per year, or 23% of the total amount of food waste created by the entire C&I sector. Only 5-9% of it is recovered or recycled. The food and beverage services sub-sector creates around 858,305 tonnes of food waste every year, or 44% of the total amount created by the C&I sector. Only 8% of it is recycled or recovered. I Don’t See Any Food Waste! Less than 28% of food businesses have ever done a food waste audit or assessment. Food is a key resource used in the food service business, so this is surprising, especially knowing restaurants throw away 23% of the food purchased for stock in the UK. Australian figures are unknown but are expected to be similar. There are a number of challenges to recognising and managing your food waste. Food waste occurs incrementally and accumulates gradually. 5% of food waste occurs back of the house through spoilage (out of date or damaged food), 65% during food preparation (trimmings, burnt meals), and 30% occurs front of the house as customer plate waste or unsold prepared food. 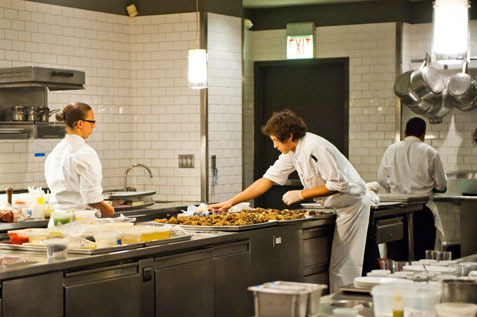 Food service businesses have food waste prevention processes in place back of the house, but very few front of the house. Most businesses don’t know how they are performing in food waste creation in comparison with their peers, and if they should do something about it. Space is a premium in smaller businesses, and considerations on food waste management require greater attention and creative solutions. Staff turnover is high, so training on food waste reduction and separation needs to be included in all staff training programs. Menu planning, stock ordering and management, food preparation, and food service are roles often performed by different individuals in your business, creating a disconnect and lack of clarity in how food waste is being created. While there is limited data on Australian hospitality sector food waste, this is changing. RMIT University researchers are doing a nationwide hospitality sector food waste research project called Watch My Waste(www.watchmywaste.com.au), and are asking businesses across Australia to sign up today. Participation in the research project is easy: you fill in a couple of surveys and do food waste audits. If you participate, you will learn how much food you throw away, and are likely to see your food waste decrease during the project. At the end of the research, you receive a report on your food waste, what is contributing to its creation, and recommendations on how to further reduce it. Plan menus and try them with customers to see if they are effective. Check existing stock in storage and the fridge before ordering, and shop from detailed ordering lists, not memory. There are a number of good inventory management software systems around. ‘First in, First out’ – Use older food first as the fresher food lasts longer. Do not bulk buy food unless you will use all of it before it spoils. Purchasing more pre-prepared food pushes some preparation food waste further up the food supply chain where it can be managed in greater volumes. Store food correctly to optimise its lifespan. Not everything stores better in the fridge (e.g. Cucumber has a freezing point that is higher than the temperature of most refrigerators, so they spoil faster because they freeze). Use By and Best By/Best Before dates is different. Use By dates are a mark of safety, and food should be consumed before the expiry date. Best By/Best Before dates are the producer’s mark of quality and are usually safe to eat after the expiry date. If in doubt, smell it! 40% of the food thrown away is high carbohydrate foods such as potato, bread, pasta and rice. Cook and serve more suitable portions of these foods. Offer doggie bags. They are NOT against the law in Australia, and using them will reduce the amount of food waste front of the house! Around 1.9 million Australians go without food because they cannot afford it. Donate your still-consumable food to organisations such as FareShare, Foodbank, OzHarvest and SecondBite, who redistribute it to charities that feed hungry people. 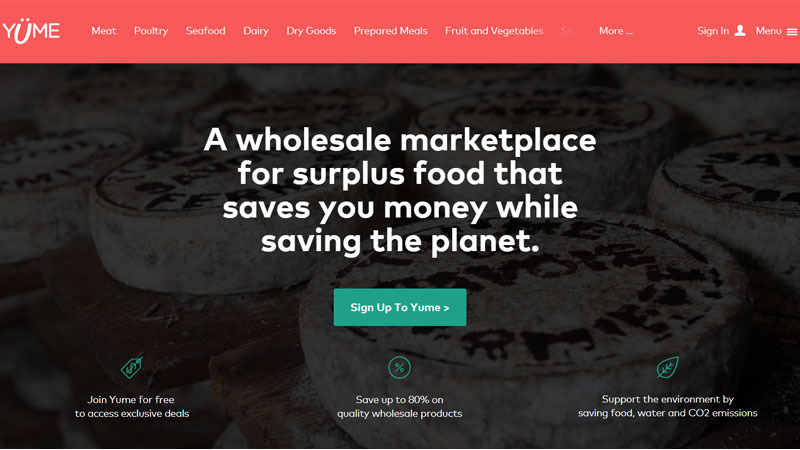 If you are in Melbourne you can sell excess still-consumable food at discounted prices on the YUME app. Alsco would like to thank Watch My Waste for this article. Watch My Waste aims to quantify and reduce food waste in the food service sector through the world’s largest food waste research. You too can participate, visit watchmywaste.com.au for more details or register here. However, let’s not forget that dealing with the food waste is not the only environmental issue that you can solve, by actually saving money. 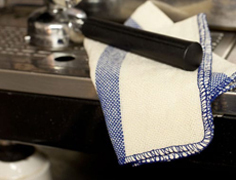 You can do the same when it comes to washing your staff uniforms and linen or managing your washrooms. Regular washed, replaced and delivered uniforms. Comes in different styles, sizes and fits. Necessary kitchen items. Highly-absorbent food & glass wipes. HACCP colour coded. 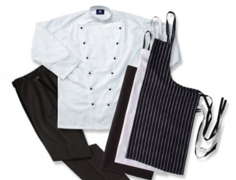 To fully enjoy these rental services, you just need to choose the uniforms or the linen from our range of products. There is a possibility of adding your brand logo to them, as well. 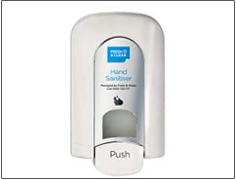 After using them, your employees just need to throw them into a bin. We come, collect them, and leave you the same ones – industrially washed, ironed and ready to use. Start saving your time, money, precious resources and your environment. Call the friendly Alsco representatives and get the best possible quote, tailored to your business.